The Servicemembers Civil Relief Act can be a slippery slope. The language in the act is sometimes vague. But penalties for SCRA noncompliance can be severe, and even devastating, depending on the size of your business or institution. Moreover, regulators have broadened the protections in some cases. Although some of these regulators do not have the authority to enforce the act, such as the Consumer Financial Protection Bureau, they can still pursue actions against lenders they perceive to have treated servicemembers unfairly, even if these lenders did not technically break the law. All this is, of course, subject to whatever limitations the current Administration seeks to impose upon the regulators. How can you avoid such scrutiny and the resulting consequences of SCRA noncompliance? It’s not easy. In fact, it can be a bit of a minefield. But with a checklist and proper training of your employees, compliance is possible. The driving force behind SCRA enforcement is the Department of Justice. The DOJ can and does litigate cases on behalf of servicemembers. Most of these cases often result in settlements with lenders and other companies for large sums of money. Retaining possession of a repossessed vehicle or possessions. Furthermore, the DOJ may force the company or lending institution to return money or property to the servicemember. They may also have to pay fines for the violation. 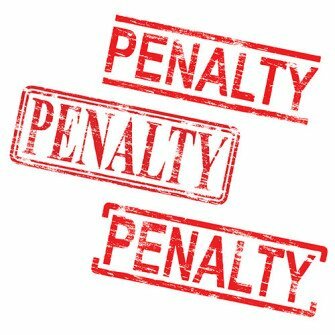 These civil penalties can be staggering — $55,000 for the first violation and $110,000 for subsequent violations. Private litigators can also file suit against lenders and win relief and collect damages. In nongovernmental suits, fines do not apply, but lenders may be responsible for attorneys’ fees. Keep in mind that violations do not need to be complete for lenders to face court action. Any attempt at beginning a foreclosure or repossession can be enough to incur the wrath of the DOJ, or a private litigator. Additionally, remember that the servicemember does not always need to request SCRA protection. In many cases, these protections are automatic. So the onus is upon the lender to correctly determine the borrower’s military status. In fact, many of the settlements with lenders, storage companies and landlords require that the lender/landlord affirmatively keep track of customers who are in the military so that the SCRA benefits can be offered, without being asked for. For this reason, it’s critical that you use affidavits only from providers you trust. The DMDC does not provide affidavits. However, the Servicemembers Civil Relief Act Verification Service does, and their authenticity is 100 percent guaranteed! We offer a no-risk refund policy: If, with the information the user supplies, SCRACVS is unable to provide the verification, the user can either purchase an affidavit of due diligence or obtain a full refund. Various regulators that do not necessarily have power to enforce the SCRA can bring charges against lenders. Even if the lenders prevail by proving absence of wrongdoing, just being accused and having to offer up a defense can be harmful to the lender’s reputation, and therefore hurt business. Lenders can also find themselves swept up in class-action lawsuits brought by either financial regulators or private law firms. These can result in protracted and costly court battles. Some better-known settlements over the years include recoveries of $39 million in foreclosure cases, $12 million for loans (including credit cards, vehicles, home equity loans, consumer loans, lines of credit and more), and nearly $100 million for student loans. The outcomes of some of these cases have put even more pressure on lenders. Servicemembers made gains in the levels of protection, and these go above and beyond what the SCRA guarantees. In some cases, courts expected lenders to have made proactive checks to the DMDC when the SCRA may not have specifically said they were necessary. Further, the DOJ has extended flexibility to servicemembers in instances in which the Act requires them to request protection. So it behooves lenders to check military status 100 percent of the time to avoid legal action. And not just once, either. It is best to perform repeated checks throughout the process of foreclosure, repossession, etc. In transactions such as loan payments, monthly checks of borrowers’ military status will help keep lenders out of trouble. One area of particular confusion is instances in which servicemembers are guarantors on loans. Although they are not the borrower, they may be responsible for payments. If lenders begin foreclosure proceedings against a mortgagee who has defaulted on payments but a servicemember has co-signed the note, are they entitled to SCRA protections? No court has ruled on this as of yet, so lenders should tread carefully in this area. What is clear is that the government — and others — are on an ever-widening path to find and punish lenders who violate the SCRA, or even those who do not violate it but are perceived of as engaging in unfair and deceptive practices. For more specific tips on compliance, see An SCRA Checklist for Lenders, and for more information about the DOJ’s pilot program to help servicemembers fight charges, see DOJ Increases Vigilance Over SCRA Violations. Stay abreast of any changes to the law, use an abundance of caution, and rely on SCRACVS for accurate military status verifications and affidavits within 24 hours.